This is a very well built colt and his coloring really catches your eye too! He will be very stout and able to jerk a steer. 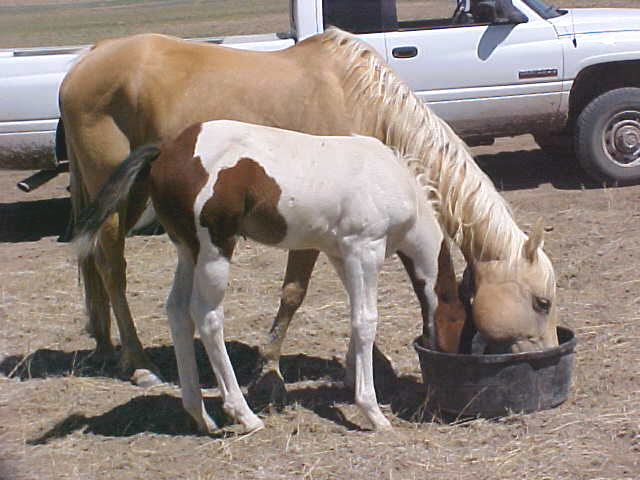 These foals of Ambr are alwasy nice and grow up to be very beatuiful. They have nice minds and although they can start out a little high, they calm down very well and very quickly. 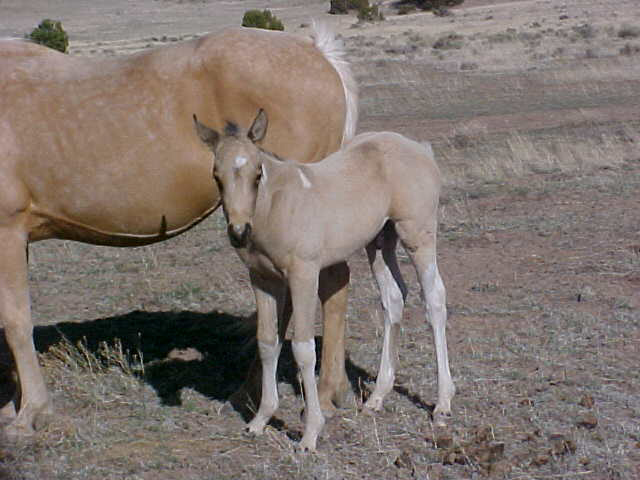 This is a definite stud prospect, and he has a full brother producing foals in Tucson. He is catty and very athletic and knows people are nice, too. He even has a cute little heart on his left cheek. This one will be a keeper, so don't miss him. Please scroll down for the pedigree of Camo.